The Star Princess was the obvious choice, but I wanted to try something a little different than just duplicating my previous layout. 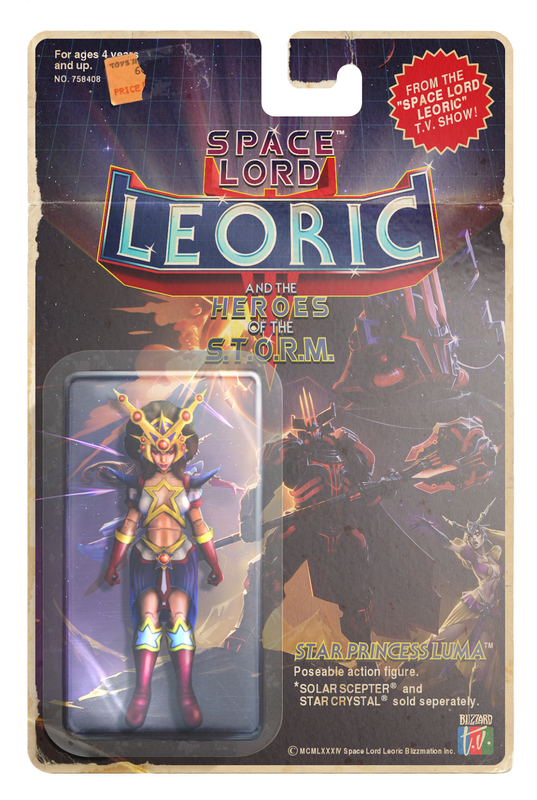 Whereas the final action figure created for the Leoric packaging came across as more of an inert model due to its chunky, busy nature, the more simplistic style of the Princesses outfit allowed me to experiment with creating the impression of jointed limbs, making her feel more authentic as a toy. Once the basic form had been assembled, along with a new pair of hands, it needed shading to reduce the effects created by mirroring body parts and then a paint over with highlights to help create the impression of a plastic sheen. Finally, I created joints based off action figure reference for her arms, legs and waist. The finished figure was overly glossy, but I knew this would be minimized once it was layered under the weathered plastic enclosure. 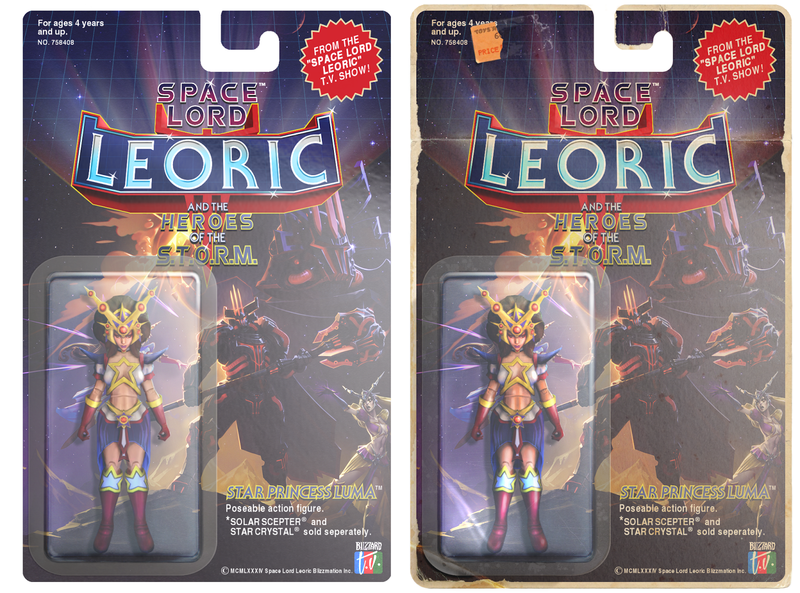 Just as with Leoric's packaging, I weathered the Princesses by adding water stains, scuffs, mottling and folds to the card backing, and also damaged part of the plastic enclosure by creating the impression of the adhesive being exposed to air after a corner had been folded back. At the last moment, I also decided to rip the price sticker in half, leaving behind a partially visible sticky residue. Note: Whilst the character of the Wizard already has an established name (Li-Ming) within the context of the game, I decided to create a new persona for her packaging to help her blend in with the Saturday Morning styling. To keep it within a somewhat stellar theme, I named her Luma, with Astra and Twila as her two sisters (the latter coming from an old English word for 'star'). Hmm... Does this mean I have to do Astra and Twila packaging now?